Malaysia retail facilities are using the pos display in order to provide the customer with information about their purchase on the cash register. The retail display will basically receive the information from the software on the computer and will translate that into information that the customer can understand. 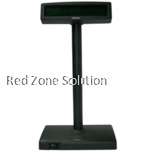 Most of the counter display can also be used to display marketing messages. Their function is generally contingent upon the software. Malaysia business owners will realise that there are lots of factors that they need to consider when finding the suitable pos display for them. Here are some of those factors. When you are looking for a retail display, the emulator and software is the first thing that you need to think about. It is imperative that you know what type of emulator that is being supported by your software. An emulator is basically a program in a computer that has the ability to mimic the program of the hardware. Some of the known emulators that are compatible with counter display are CE-5220, Epson, Aedex Standard, Exmax, UTC Enhanced and UTC Standard. 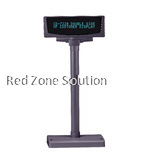 Basically, in order to functions efficiently, your display should be equipped with one of these. We recommend you to contact the software vendor in order to find out which emulator is supported by your software. 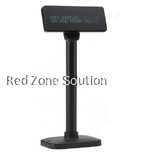 Pos display is commonly attached to the computer that serves as a central command through a USB. But there are also different models that can connect directly to your system’s printer. 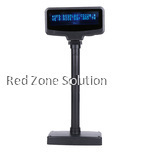 Generally, the standard of the industry is the use of the serial interface, but with the innovation in the industry, most retail display is now available with USB connection. 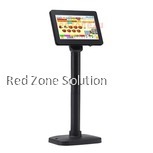 Since you are using this as equipment for your business, you should also consider the aesthetic design of the pos display. Factors such as the display feature, mounting style, size, and colour are some of the considerations that you need to make when choosing the design of the counter display. Common choices of the business would be beige, white and black. The size really matter when choosing the right pole display as well as display versatility. Basically, the display should be clearly visible to the customers when they approached your counter. The size should be ideal on the average height, and the angle should be tilted to make it visible to smaller or taller customers. For a great viewing option, we recommend the adjustable head. 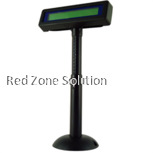 These are some of the factors that you will need to think about when shopping for the perfect point of sale display. Malaysia business owners can add convenience, practicality and the aesthetic appeal to their establishment if they choose the right type of pos display for their business.